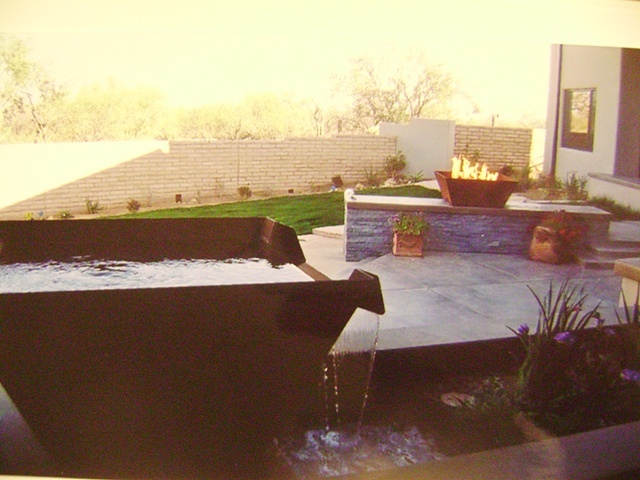 This project matched the firebox in the distance with this fountain basin. A basin of the same shape is below and the water falls into it. Jason developed this "sheet fall" through experimenting. He plumbed and electrified the entire project.